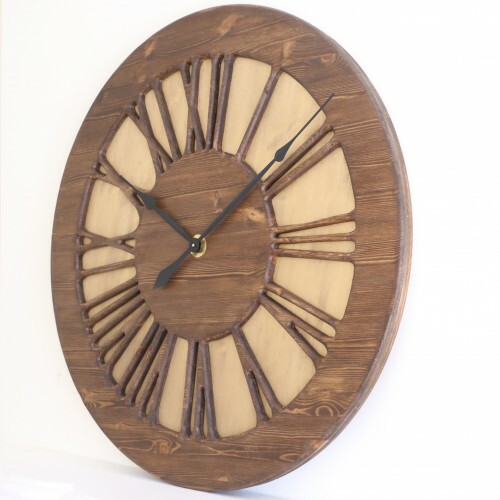 The “Classic Vintage” is a roman numeral wall clock that is made from two large panels of sustainably sourced pine wood. 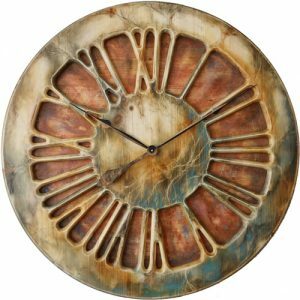 The clock face is displaying carefully carved Roman Numerals on a hand painted “golden” background. 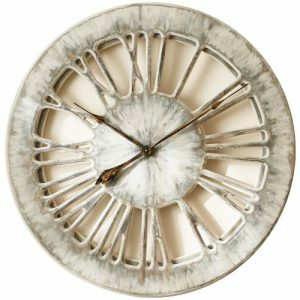 With a total diameter of up to 120 cm and its traditional design, the “Classic Vintage” will blend well in most interiors. 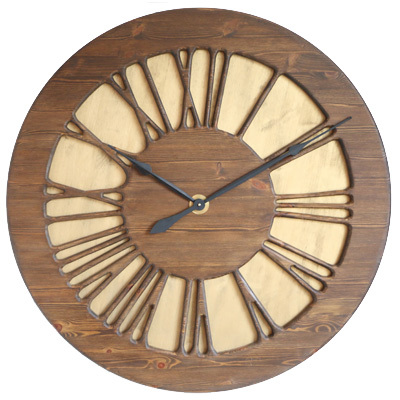 This timepiece is the very first vintage roman numeral clock in Peak Art online shop. 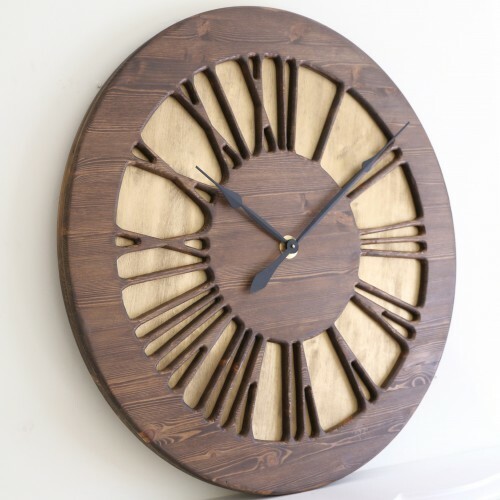 Since it was first sold in early 2015 we had many more sales of this model over the past months. 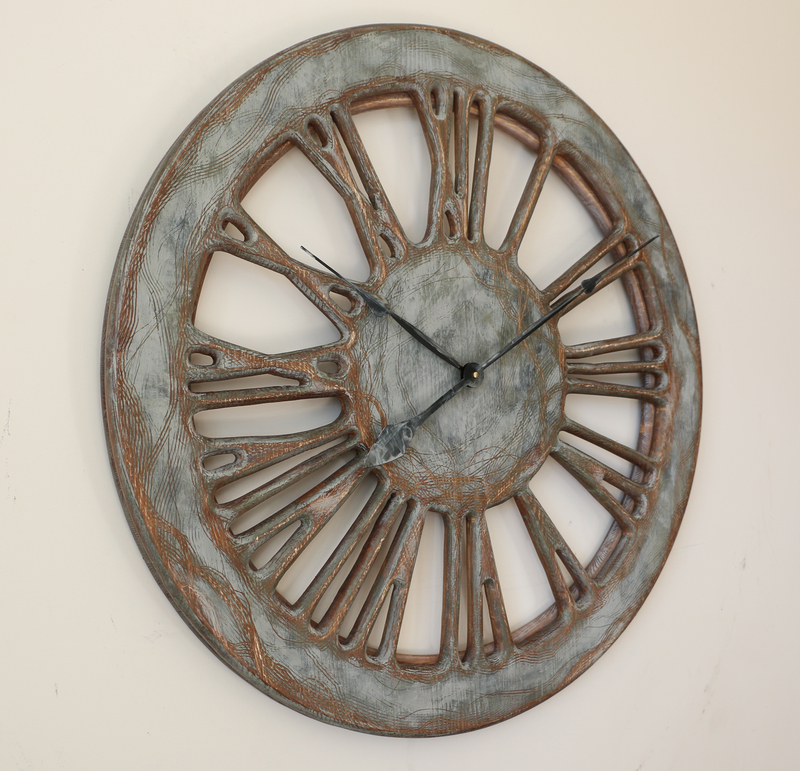 It became popular among the customers that would like a huge statement wall clock at more affordable price. 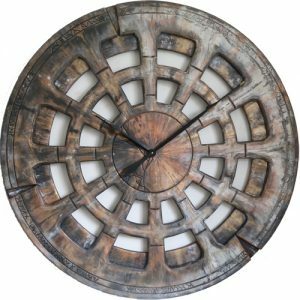 If you have been searching the Internet for weeks trying to find something more original than the usual factory made products, we can assure you that you will find it here. 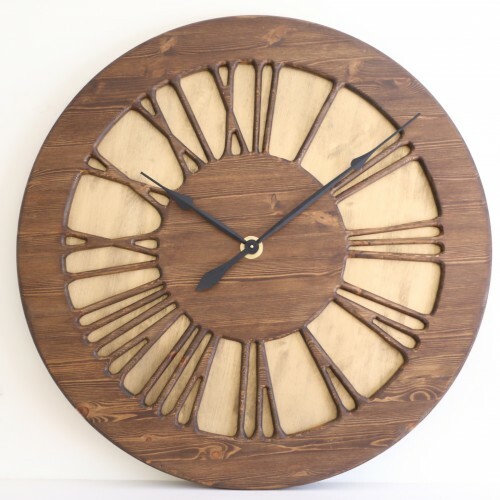 All Peak Art Clocks are made from wood and carefully hand painted which makes them so unique in a global scale. They are all battery operated with the most powerful Quartz Sweep movement. You don’t need to follow the crowd and fill empty wall space with mirrors and paintings. 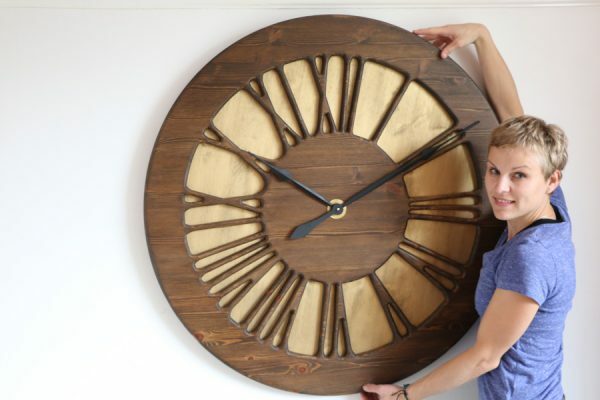 Think different and become a proud owner of the most stunning oversized wall clock on the planet. 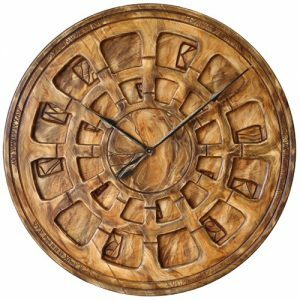 Peak Art Clocks are one of its kind most brilliant home decor idea many people came across. Don’t wait and join thousands of our Facebook Followers that share the same vision. Check our Youtube Channel if you want to see multiple videos demonstrating those most unusual timepieces. 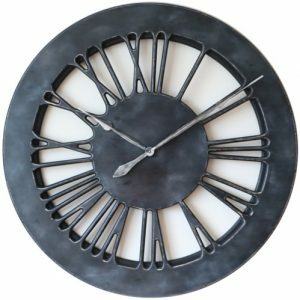 Get in touch if you can’t find a suitable clock design and we are sure we can work together to make the most perfect Giant Wall Clock that will meet your needs.